Yes, it has been over a month since the last update here. What is there to say when the market is the same frenzied nonsense day after day, week after week, month after month? It’s exhausting, and I’m not even in the market to buy a home. If you are, you definitely have my pity. 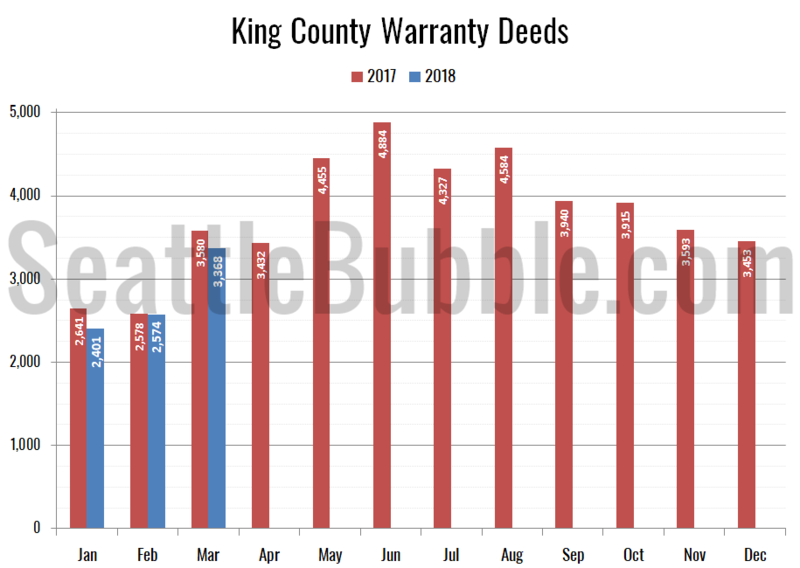 Even when I’m not posting here, I am still keeping my spreadsheets up to date and sharing them with those who support my ongoing work as members of Seattle Bubble. Anyway, I’m back because there’s something definitely interesting in our regular monthly “preview” charts for May. 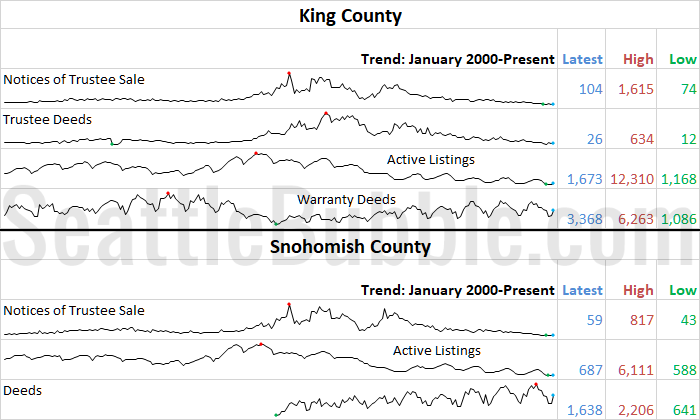 Unless something has really broken in my data collection, it looks like we’re seeing a sudden surge of listings begin to pile up. 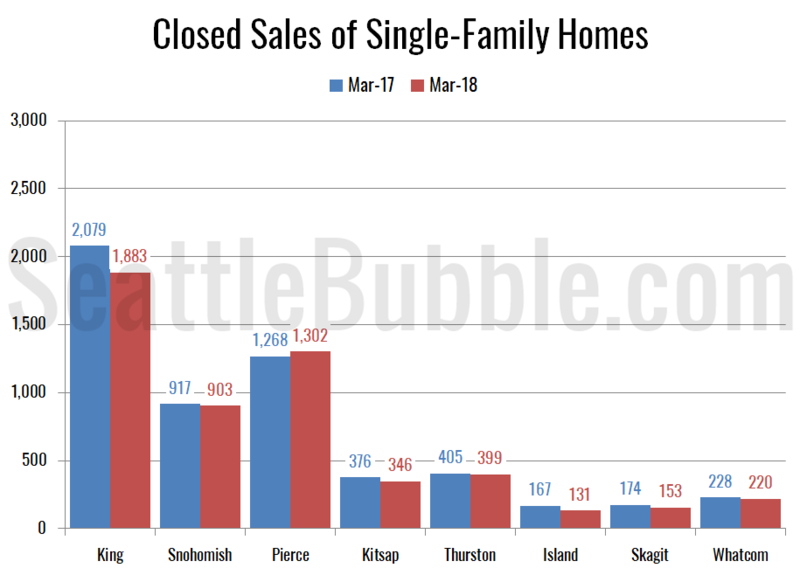 Continue Reading May Stats Preview: Sudden Listings Surge? 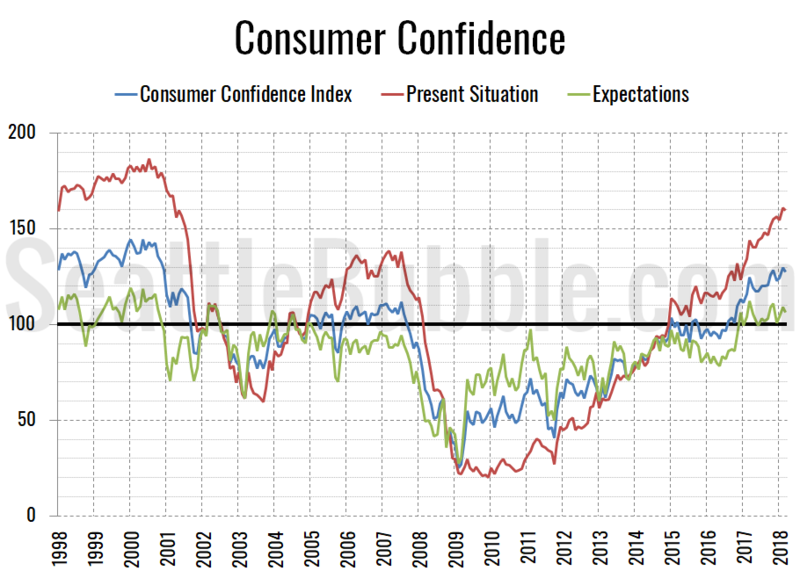 Despite the big bump up in prices to a new all-time high, there is some good-ish news for home buyers in the March data. 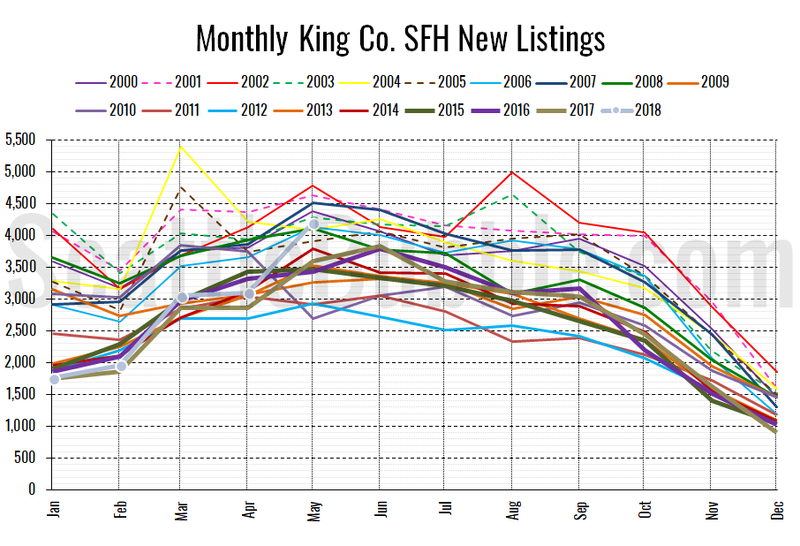 Compared to a year ago, new listings are up, total listings were basically flat, and sales were down. 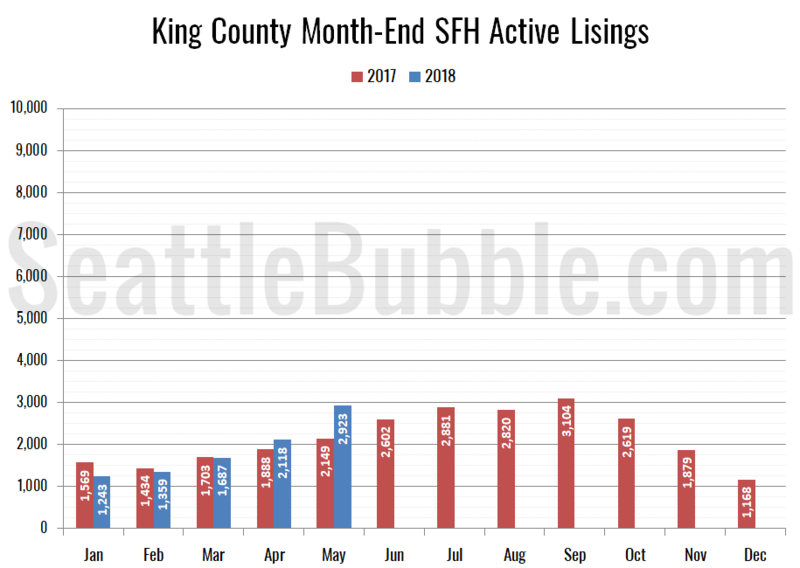 The overall market is still definitely heavily skewed toward sellers, but at least last month’s trends are finally moving a little bit in buyers’ favor. Now that March is done, let’s look at our regular monthly “preview” charts. 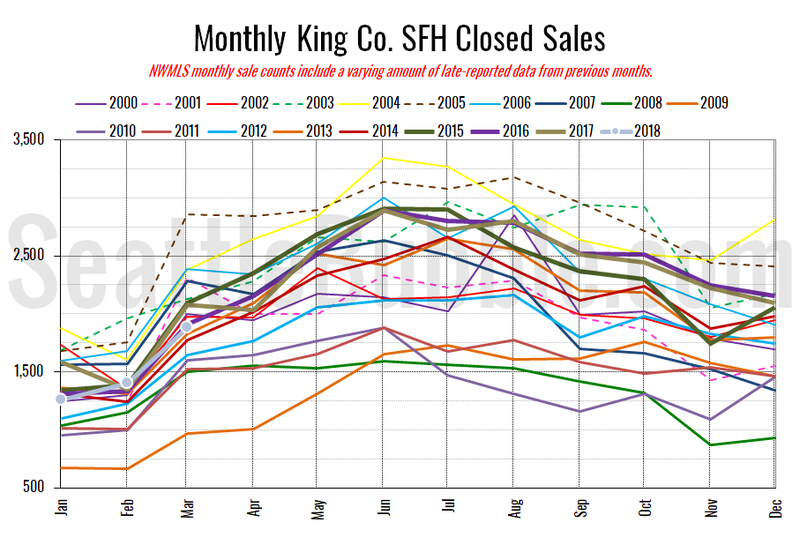 Here’s the summary for March: Sales look to be a bit lower than last year, even as the spring bump has begun. 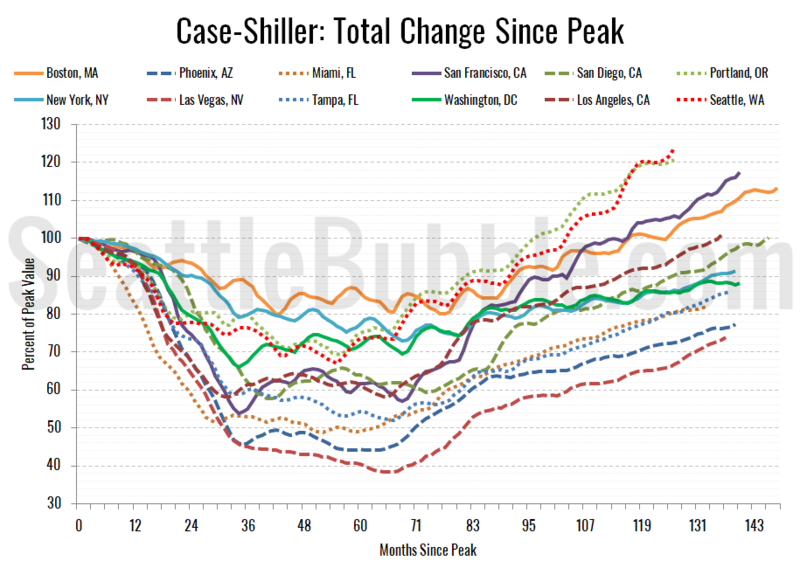 Listings are still struggling to make gains. Foreclosures are still nearly non-existent.